Losing teeth can be a discouraging problem, and often can result in no longer being able to eat the foods you love as well as decrease your ability to speak and enjoy social situations. If you are losing teeth, or have lost many or most of your teeth, there are options for you. At Mirelez Wellness Dental near Clovis and Madera, our caring team offer a wide range of dentures ranging from traditional dentures and high-end customs all the way to implant supported dentures. Implant supported dentures | This form of permanent dentures uses special denture implants that secure the denture in place and provide a permanent tooth replacement solution. Denture implants use special alloy posts that are anchored into the jaw, providing a place to fasten sets of permanent dentures. Permanent dentures such as implant supported dentures don’t have issues with clicking, coming out, or even slipping. 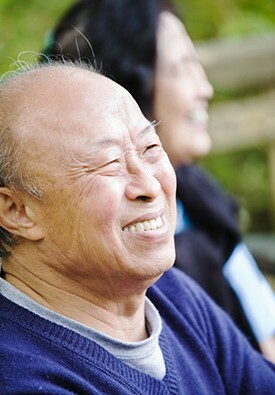 GuidedSmile | GuidedSmile is another form of permanent dentures that uses denture implants. With GuidedSmile, we can digitally plan and tailor your procedure with impeccable precision and efficiency for faster treatment, placement, and recovery. 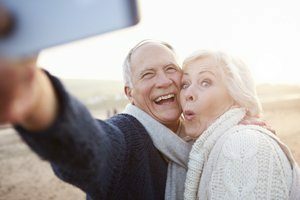 Traditional dentures | If you have needed a denture, but implant supported dentures aren’t quite what you’re looking for, we have great traditional dentures options available. Our dental team will take a mold of your mouth for your traditional dentures, and then have them custom made to help ensure that they work fantastically and fit great. We also offer high-end custom dentures that can meet a variety of appearances and specifications. Partial dentures | If you haven’t lost all of your teeth, a partial denture could be a good option to help restore the beauty of your smile. As with all of our dentures, a partial denture from Mirelez Wellness Dental in Fresno is custom-crafted, and high quality. If you have lost many of your teeth, or even all of them, dentures are a wonderful option for getting your smile back. Have any questions about the dentures we offer at Mirelez Wellness Dental in Fresno? Contact us today if you are in the area, from Clovis to Madera.